A 2-year-old child was killed in a rollover crash on Interstate 40 near Ash Fork on Tuesday afternoon. 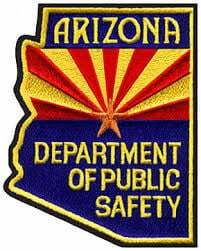 A man was driving a Toyota Rav 4 westbound when the vehicle hydroplaned on wet pavement, struck the embankment and rolled over, said Bart Graves, a spokesman for the Arizona Department of Public Safety. Eva Luna, 2, from Los Angeles, died at the scene. She was not wearing a seatbelt, Graves said. Her father, the driver, was admitted to Flagstaff Medical Center. Four other passengers were not injured.